Today is the beginning of the end for Australia's holiday zen. For the past three weeks, major Australian cities have had a temporary character transplant. The lack of traffic has meant our cities have briefly adopted a rare personality of calm serenity. Driving across town to see friends on weekends or popping to the shops has been met with open roads and clear skies free of pollution. Pure transport bliss. Of course, it won't last. From today, the darker side of our cities' character begins to reclaim its natural position of authority. Traffic congestion will begin to return. Slowly at first, but then in a huge rush once the school year begins in late January, our currently peaceful road system will once again revert to crippling congestion, accompanied by its emotional bedfellows of frustration, aggression and anxiety. Take, for instance, Sydney. In an international city of some five million people, just under 70 percent of Sydney's trips use private vehicles. That means there are some 12.6 million trips by a vehicle driver or passenger on each average weekday, compared to about 2.1 million public transport trips. It's no surprise there's so many car ads on our TVs... and so many cars on our local roads. As bad as it is now, the problem could get even worse. Infrastructure Australia estimates that, without action, the cost of congestion in Australia's major cities set to rise from $13.7 billion in 2011 to $53.3 billion in 2031 -- that is nearly four times more severe in just 20 years. But what if our capital cities had the opportunity to be in a perpetual state of Christmas/New Year traffic serenity. An environment where there is no road rage, fewer delays and more productivity. The opportunity awaits us, and what's more, it can mainly be achieved through innovative regulation rather than huge infrastructure spends. Yet it is an opportunity which is being given scant attention. Driverless cars are that opportunity. If we introduce driverless cars to our cities in a way that puts the city first, then we may never look back. However, if we do it in a way that advantages only the car industry and the rights of individual drivers, then the city may never recover. The driverless car revolution is coming towards us at break-neck speed. A position paper published by the Australian Driverless Vehicles Initiative (ADVI) in September last year found that fully driverless cars will begin to be sold in Australia from 2021, and make up to 30 percent of all sales by 2026. The ADVI is a cooperative partnership program comprising more than 75 Australian and international organisations to manage the safe and successful introduction of driverless vehicles onto Australian roads. The problem is that driverless cars can either be a blessing or a curse. Driverless cars will suddenly allow a whole range of people who can't currently drive, such as the elderly or very young, to be able to access cars. What's more, driverless cars will appear like a more convenient option because, when you use them, you won't have to worry about the greatest headache of all car drivers: finding a park. You will just get out of your car and it will then either roam around the streets or find a park somewhere else. What will be the result? Well, some estimates are that our roads could be up to three times as crowded in the future, thanks to driverless cars. Pilot models of the Uber self-driving car are displayed at the Uber Advanced Technologies Center on September 13, 2016. This means our town centres and streets being over-run by robot cars, damaging their character and vibrancy -- much like some of the scenes in the Tom Cruise science fiction movie 'Minority Report'. It is also likely to lead to more requests from the community for governments to convert valuable and productive city land into even more motorways. One of the leading thinkers in this area is economist and strategic planner Brian Haratsis, who is working with the ADVI. At a web forum held late last year, Mr Haratsis also painted a picture of driverless cars leading to a society of overweight slobs, who would rather coast to the shops in a vehicle than walk or cycle. "We understand now the importance of having healthy cities. I would hate to think that people in the future will not walk 400 metres to the shops but will instead decide to jump into an autonomous vehicle, where there are lots of these other vehicles hovering around," he said. However, innovative regulation could avoid this classic market failure. This could involve congestion charging on driverless cars entering major commercial centres, or even working to restrict private ownership of driverless cars and instead encouraging Uber-style driverless car sharing and fetching. "I don't think we will need to own these motor vehicles, I think we will be paying for mobility as a service, not as a capital amount," Mr Haratsis said. This scenario could lead to urban and transport utopia, as outlined by a University of Newcastle-based academic in his submission to the NSW parliamentary inquiry. Dr Gary Ellem, Future Industries Project Manager at the university, said that -- based on a Singapore study -- a "driverless taxi system servicing urban and suburban NSW is likely to require 70-90 percent fewer cars to do the same transport task as the existing fleet of private passenger cars". Imagine that -- a reduction in our vehicle fleet of up to 90 percent. That would make the temporary holiday zen look like year-long paradise. "In addition to improving the energy and economic security of the state, the ability for a relatively small number of driverless taxis and buses to replace a large number of private vehicle trips means that a surprisingly fast reduction in accidents and congestion is possible," Dr Ellem said. "This is likely to result in significant savings to the NSW government health and infrastructure budgets through reduced accidents and new road spending." Dr Ellem argues that, given NSW doesn't have to worry about car manufacturing as an affected industry, it should instead focus on being an innovative regulator of driverless cars to grow the city's economy and liveability. 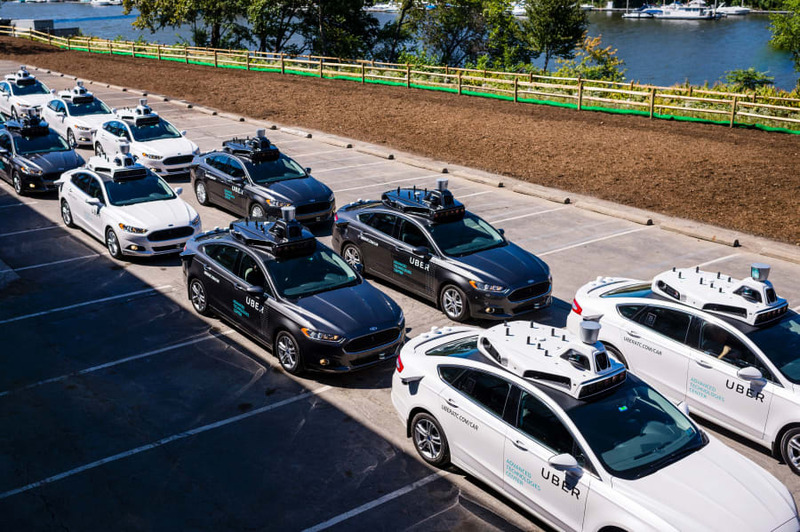 Congestion charges, new parking or roaming rules and bans or restrictions on private vehicle ownership to accompany the introduction of driverless cars are provocative options. But we need to start the conversation now to work out how we can introduce this amazing technology to benefit, not harm, our major Australian cities.